Indecisiveness is defined as a maladaptive trait resulting in difficulty making decisions across time and situations. Indecisiveness is positively correlated with measures of anxiety, worry, and depression and has been listed as a symptom of Major Depressive Disorder for decades. Indecisiveness is also a distinguishing cognitive process associated with other disorders, such as Generalized Anxiety Disorder, Obsessive–Compulsive Disorder, and Hoarding Disorder. Recently, indecisiveness has been found to be represented by two distinct dimensions, labeled aversive and avoidant indecisiveness. Aversive indecisiveness, represented by anticipation of negative consequences as a result of decision-making, is associated with behavioral inhibition and anticipated regret about decisional choices. Avoidant indecisiveness, represented by a preference for decisional delay and avoidance, is associated with a withdrawal from reinforcement. 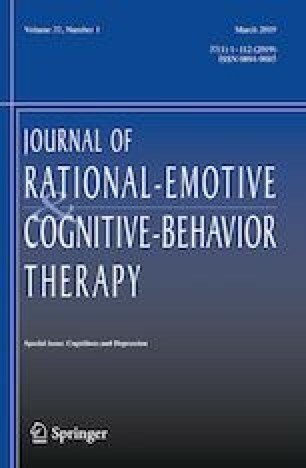 In this investigation, we assessed if aversive indecisiveness, due to its anticipation of negative consequences resulting from decisions, was more predictive of trait and cognitive risks for emotional distress as well as anxiety, depression, worry, diminished cognitive flexibility, and avoidance than avoidant indecisiveness. Using a college sample (N = 185), we found that aversive indecisiveness was uniquely predictive of neuroticism, Intolerance of Uncertainty, anxiety, depression, self-consciousness, worry, diminished cognitive flexibility, and multiple forms of avoidance over avoidant indecisiveness. These results indicate that anticipating negative outcomes resulting from decisional choices is more critical to anxiety and depression than a preference for decisional delay and avoidance. The results also provide preliminary evidence that aversive indecisiveness fits within a nomological network of risks for and experience of anxiety and depression. All participant recruiting, informed consent, data collection, and debriefing strategies were approved prior to data collection by a university Committee for the Protection of Human Subjects. Mohamadipanah, H., Parthiban, C., Maulson, L., Laufer, S., Rutherford, D., Law, K., et al. (2016). Is indecisiveness linked to hand movements in performing laparoscopic ventral hernia repair? Paper presented at the Surgical Data Science Conference, Heidelberg, Germany. Retrieved from http://www.surgical-data-science.org/wp-content/uploads/2016/06/SDS-2016-program.pdf. Tang, S. H. (2017). On being indecisive: Functionalist antecedents and processes in the psychology of indecision and indecisiveness (Unpublished doctoral dissertation). The Australian National University, Australia. Retrieved from https://openresearch-repository.anu.edu.au/handle/1885/116972.